By vowing to rebuild American society, scale back foreign militarism, de-escalate NATO and seek friendly cooperative relations with Russia, a United States of America under Donald Trump would not only be a boon for America’s best interests. It would also be a win for Europe. In such a new international outlook, the European bloc would be freed from its atlanticist subservience which has been dominant and deleterious for several decades. European governments would be freer to have more independent foreign policy, instead of toeing the dubious line that up to now has been ordained from Washington. It has been a disaster for the EU to have adhered so slavishly to US foreign policy. Much of the current discontent and disaffection among EU citizens towards the Brussels-based bloc stems from this unnatural and unhealthy subservience to Washington. Wars in the Middle East, North Africa and Central Asia and the attendant problems of blowback terrorism and influx of refugees are direct results of European governments following Washington’s foreign policy of regime change and so-called «democracy promotion». Even though these wars have been illegal and vile transgressions of international law. Financial and economic policies adopted by European governments have been straitjacketed by neoliberal capitalist doctrine dictated by Wall Street and successive US governments. This boils down to misery and austerity for the masses, while a tiny oligarchy become ever bloated with wealth. In short, stagnation. Deteriorating relations with Russia – Europe’s biggest energy supplier – have also stemmed from the EU following Washington’s confrontational agenda towards Moscow. European governments have bought into the spurious US official narrative of Russia being «aggressive» and «expansionist». Admittedly, certain EU members such as the Baltic states are all too willingly Russophobic. But for many others, such hostility between the EU and Russia does not make sense. While economic impacts on the US have been minimal, the tensions between the EU and Russia have badly hit European businesses, exporters, farmers and workers. The looming threat of war on European territory from the irrational enlargement of the US-led NATO military alliance along Russia’s border is also seen by many citizens as another demonstration of the EU’s reckless subservience to Washington. It is Washington, of course, that has been the main advocate of increasing NATO forces in Europe, augmented by atlanticist EU governments like Britain, Germany and France, as well as the anti-Russian paranoid Baltic states. Some 500 million EU citizens are held ransom to war policies by a coterie of governments who behave like vassals to Washington. In many ways, the political, economic and cultural problems challenging Europe arise directly from the EU’s lack of independence from the US. Often it seems that Brussels is acting as a rubber-stamp for foreign policies authored in Washington. No wonder then that in the view of many EU citizens the functioning of the bloc is seen to be undemocratic and unrepresentative of their immediate needs. This explains the soaring rise of anti-EU parties right across the bloc. 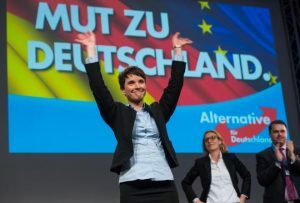 The phenomenon has less to do with an inherent popular affinity for parties labelled «far right» or «xenophobic» and more to do with a popular desire for democratic governance that attends to urgent social interests. There is much overlap with the political rise of Donald Trump in the US. As in Europe, the mass of ordinary working-class American citizens have been disenfranchised, politically and economically, over several decades. A rarefied political class has become ossified and is seen to be self-enriching and servile to a tiny wealthy elite of financiers, corporations and the military machine that underpins this oligarchy. Integral to the oligarchy are the corporate-controlled media monopolies that pontificate to the masses on how they should vote in elections – elections that have become inconsequential to democratic needs. All that now appears to be changing. A revolt is underway. Trump’s election, like the Brexit before in Britain earlier this year, is a popular revolt against the oligarchy. The mass of people have become sickened and wearied by endless wars and endless economic austerity, while the rich elite become ever more obscenely wealthy, and all the while the media propaganda system cynically instructs the people who to vote for and who not to, knowing full well there will really be no «hope and change». This time around though, the US election, like the Brexit, was infused with righteous, raw popular anger against the oligarchy. Trump struck a deep popular chord when he called US-led wars in the Middle East a «disservice to our country and a disservice to humanity». People got it when he lamented how much American infrastructure, schools, hospitals, roads, jobs, would have benefited if the trillions of dollars wasted on wars had instead been invested at home. Despite media concealment, a large section of the American people concurred with Trump’s angry denunciation of Obama and past US administrations for criminally stoking terrorism and conflicts. His presidential rival Hillary Clinton was fixed right at the center of this culpability among the Washington oligarchy, which straddles both the Republican and Democrat parties. Voting Trump into the White House – a property tycoon who has never held an elected office before – is an historic repudiation of the political establishment. It is a political earthquake. On the eve of election day on November 8, Trump’s declared that «this will be our independence day… when the American working class will strike back». It may seem incongruous that a billionaire capitalist should exhort the working class to strike. But strike they did. Trump also said his election would be «Brexit plus, plus, plus». That remark has turned out to be prescient too. The American election earthquake has rocked Europe with greater force than did Britain’s vote to quit the bloc in July. A crevice has been torn open between atlanticist governments and more independently minded ones. Germany and France in particular have been caught off-side. Chancellor Angela Merkel expressed «shock» at Trump being elected, while French President Francois Hollande – also disapproving the result – called for «united European values» to confront the new American president. Hollande’s bravado for «liberal values» makes him look even more fatuous. Britain, the other atlanticist voice in Europe, was more congratulatory to President-elect Trump. No doubt, that’s because Britain is seeking to shore up badly needed bilateral trade deals with the US in light of its departure from the EU and therefore it needs to keep Trump sweet. What really alarms Germany and France is that Trump is no atlanticist or NATO advocate. His nationalist views and tougher stance on immigration controls resonate with EU members like Hungary, Czech Republic, Slovakia, Slovenia, Greece and Austria. Trump’s views also give a boost to anti-EU parties in Germany and France who are challenging incumbents Merkel and Hollande in elections next year. 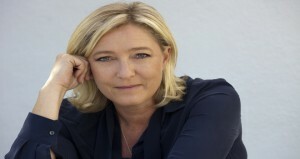 It was telling that while Merkel and Hollande deprecated Trump’s election, he was heartily congratulated by the anti-EU Alternative for Germany and Marine Le Pen’s (elf National Front in France, as well as Nigel Farage’s UK Independence Party in Britain. These parties also tend to share Trump’s more sanguine view of friendlier relations with Russia. If Donald Trump can deliver on his avowed program of rebuilding American society and economy from within while abandoning US imperialist hegemony around the world that will potentially transform world relations. For Russia and China it will lead to a much needed normalization of relations, away from the current Cold War-type hostility that threatens to ignite world war. Both Russian and Chinese leaders Vladimir Putin and Xi Jinping were quick to express congratulations and readiness to work with new president Donald Trump. 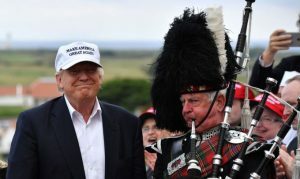 The political establishment, including the media, in the EU that is dominated by woefully misguided atlanticism has deplored the election of Trump in the US. There is a snobbish handwringing attitude that Trump’s movement is all about racist, white trash numbskulls. There may be some unsavory elements to Trump’s support, as there are in some anti-EU movements, but in the main what it is about is reclaiming democratic power for the mass of people. What the Americans have done in electing Trump is what the Europeans also need to do in order to sack a corrupt and venal establishment that up to now has only served Washington and the atlanticist elite. If Trump’s victory invigorates similar trends across Europe then that would be a good thing. And especially if it led to Europe having a more independent foreign policy from Washington and in particular gaining a more normal, mutual relationship with Russia. Former editor and writer for major news media organizations, Finian Cunningham has written extensively on international affairs, with articles published in several languages.